Floor plan: create a separate CAD file for each floor plan / level. CAD elevations and cross sections are useless for conversion, so exclude the additional plans and elevations. 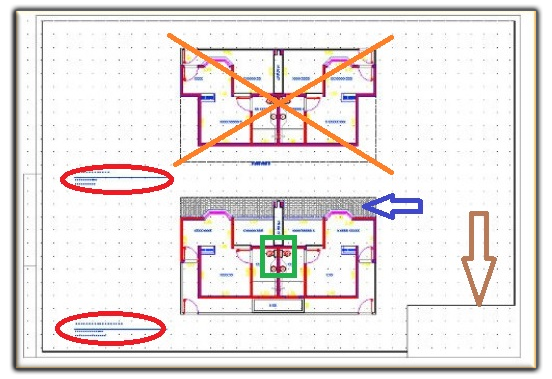 Superfluous elements: remove all the unnecessary elements like titles (outlined in red), hatches and symbols (blue arrow), title block and frame (brown arrow), fixtures.